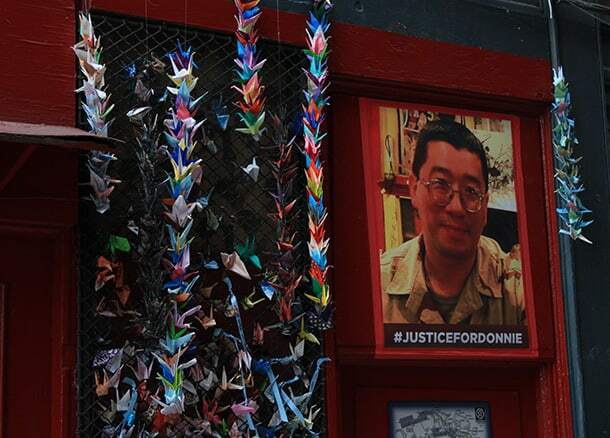 Donnie Chin was perhaps one of the International District’s most beloved community members. He was a watchdog, a friend, and a family man. Since his death on July 23, 2015, when 59-year-old Chin was caught in the crossfire of what police say was gang violence, the Chinatown International District community and many others are still looking for answers. 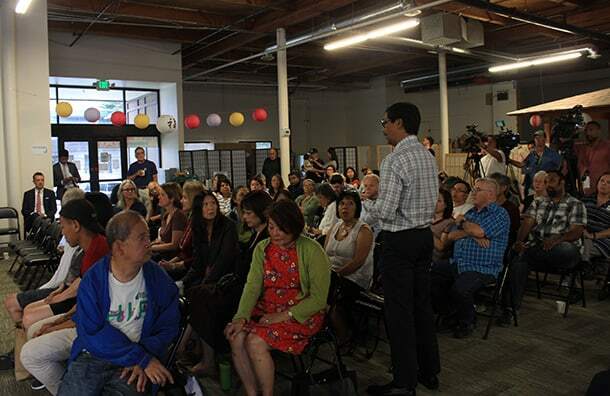 Last week marked month 25 since Chin’s death, and the fourth meeting the community held with the Seattle Police Department (SPD) at Nagomi Tea House. She noted that there were more cameras at this meeting than the last one, though there were only three. Santos, along with many other community leaders, feel they’ve been left in the dark when it comes to Chin’s investigation. Chin was someone many across all walks of life knew. From firefighters to drug addicts, from children to grandparents. Even the detectives running his investigation, James Cooper and Paul Takamoto, knew him. Chin was so tuned in to his own community and ready to help that he would often beat medics to the scene. At one point during the course of Chin’s investigation, case number 252355, the API community was told that the previous Assistant Chief Robert Merner was their lead contact. But, little did they know, he left SPD somewhere in between. Santos inquired why nobody was told. Audience members shook their heads at her statement. King County Councilmember Joe McDermott contended that it’s nonetheless important for SPD to see the community come together on the matter. Best explained that SPD had “gotten a lot more information but not enough to press charges.” She later clarified that there was no new information since the last time SPD met with the community about Chin. Best had explained at previous meetings that not many details about the investigation could be released because they could jeopardize future cases. Richard Mar, board chair of the International District Emergency Center (IDEC), said he was worried nobody would show up to the recap. But the room was full. Chin’s sister, Connie Chin-Magorty, said SPD only gets back to her after meetings and then the communication peters out. She teared up mentioning the fire department because they worked so closely with Donnie. She explained the two of them knew the names of the beat cops when they grew up in the CID, but now, she has no idea who patrols what. She had to take a deep breath to continue as her voice shook. People behind her began using tissues to wipe their eyes. “It’s ironic that the people who shot him, he would’ve saved their life, gang member or not,” Chin-Magorty said. At one point, someone asked if there’s a way to check how much time detectives are putting into this case. Best contended there’s no literal time log, but they do have the dates and times logged when detectives gather new information and conduct new interviews. These matters have to be updated on every case and reports sent in to higher-ups. Debbie Uno asked when a case is considered cold. If the case did go cold, Best said the community would be notified. SPD currently has their gang and homicide task force, forensics, narcotics, anti-crime team and ballistics on the case. After time goes on, they run ballistics again to see if there’s any new hits in the system. Best would not identify agencies but said regional and federal partners are involved. Best explained that there’s been “a lot” of tips sent in to the department but they’re all anonymous. This means they need an on-the-record interview. Santos expressed frustration over the fact that nobody even knew SPD got anonymous tips on the case. Another audience member said the community feels helpless, and said he came for engagement. Chin-Magorty said SPD has not been communicative or clear about the progress of Chin’s investigation. 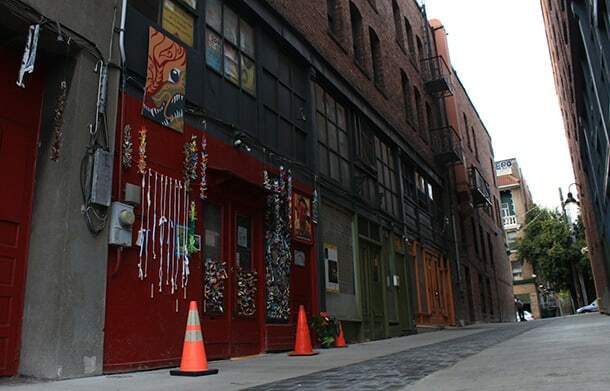 Chin’s memorial is still set up in Canton Alley in front of the family’s store, Sun May. Chin’s vest and first aid kit still reside at the Wing Luke Museum. 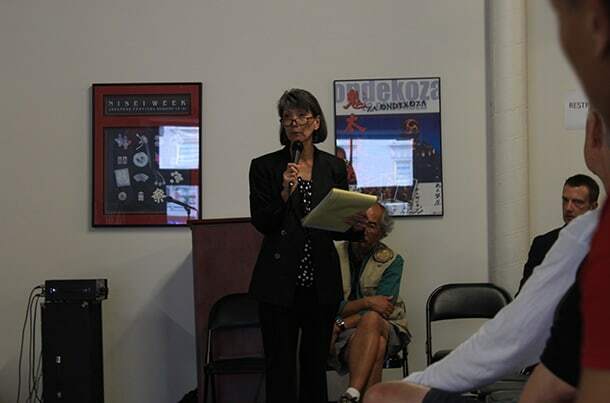 She recalled when Chin first began to engage with the community. It started with the “latch kids,” kids whose parents would lock them in the apartment and refuse to let them go outside alone for their safety. Chin offered to watch them while parents were gone. Best then approached and promised Magorty more calls and updates from SPD. They hugged. There is a reward with Crime Stoppers for information leading to the arrest of Chin’s killer, at $11,000. To give them a tip, call 1-800-222-TIPS. The tip lines for SPD are (206) 684-5550 and (206) 233-5000.